Image Courtesy of NASA. Click to Enlarge. 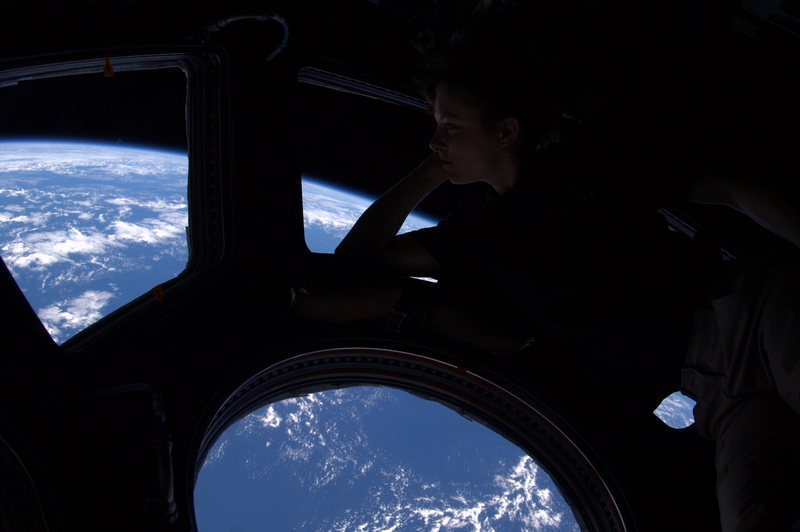 Here’s a photograph of our gorgeous planet from the recently installed Cupola module on the International Space Station (ISS). The ISS is an internationally developed research facility that is being developed in low-earth orbit. It’s scheduled for completion in 2011 and the Cupola module is one of the last remaining components of the ISS. Cupola serves as a large windowed dome for crew members to use while operating the large robotic arms connected to the ISS. It also serves as a beautiful observation deck for viewing Earth, celestial objects and visiting spacecraft. And as you would imagine, these beautiful vistas are popular with crew members. NASA has assembled a Twitter list of astronauts currently aboard the ISS, many of them tweet photos from the Cupola module. Though most of us can’t visit the ISS to get these breathtaking views, we can see the ISS from our own backyards. You can visit Satellite Flybys by Space Weather to submit your zip code and discover when the next ISS flyby will occur. You can’t miss it. It’s the biggest, brightest man-made object orbiting Earth.